"A welcome return for a long-lost treasure." 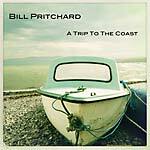 This was how Q magazine greeted the 2014 release of Bill Pritchard's album A Trip to the Coast (TR 280CD/LP). At the year's end, the album was included in the "50 besten Alben 2014" list in Rolling Stone's German edition. It had been nine years since Pritchard's previous release (2004's By Paris, By Taxi, By Accident), and due to an unlikely set of circumstances, A Trip to the Coast began taking shape in 2013. A friend and musician, Tim Bradshaw, moved to Pritchard's vicinity by chance. "We did the album together, basically because we're mates and we thought we'd have fun doing it," Pritchard is reported to have said in 2013. "But the response was great," he says in 2015. "I had no idea what to expect, but the welcome back was amazing." He's an unassuming character who doesn't pay much attention to who said what about whom -- the five-star reviews, radio play, shows, and videos -- although he was most concerned for the record company representative who had to be airlifted off a beach on the Welsh island of Anglesey while filming the video for "Trentham," the first single off A Trip to the Coast, in early 2014. In early 2015, Pritchard and Bradshaw returned to the studio to start the follow-up. Gradually, in bits and pieces, the album emerged. "The last album was very much about a journey of sorts," says Pritchard, "whereas this one is more rooted in one place, both thematically and emotionally." It was recorded mostly in Burslem, England ("The Mother Town"), with Bradshaw, Mike Rhead, Liam Bradley, and Remy LaPlage. Horns were added in France, and it was mixed in Burslem, Berlin, and Singapore with Bradshaw's long-time studio partner, Roo Pigott. The Burslem studio is a short step away from The Leopard inn (English writer Arnold Bennett's old fictional haunt), Vale Park (the home ground of Port Vale F.C. ), and Waterloo Road, the namesake for Jason Crest's song "Waterloo Road," which French singer Joe Dassin covered under the title "Les Champs Élysées." The songs on Mother Town Hall are of the classic Bill Pritchard genre. Sparkling guitars, choruses to sing along to, meltingly beautiful ballads, and personal everyday lyrics about characters both real and imagined -- a figure whose only female company is a flower; the "Vampire of New York," who married a priest from Birmingham; and many others. LP version. Includes CD. "A welcome return for a long-lost treasure." This was how Q magazine greeted the 2014 release of Bill Pritchard's album A Trip to the Coast (TR 280CD/LP). At the year's end, the album was included in the "50 besten Alben 2014" list in Rolling Stone's German edition. It had been nine years since Pritchard's previous release (2004's By Paris, By Taxi, By Accident), and due to an unlikely set of circumstances, A Trip to the Coast began taking shape in 2013. A friend and musician, Tim Bradshaw, moved to Pritchard's vicinity by chance. "We did the album together, basically because we're mates and we thought we'd have fun doing it," Pritchard is reported to have said in 2013. "But the response was great," he says in 2015. "I had no idea what to expect, but the welcome back was amazing." He's an unassuming character who doesn't pay much attention to who said what about whom -- the five-star reviews, radio play, shows, and videos -- although he was most concerned for the record company representative who had to be airlifted off a beach on the Welsh island of Anglesey while filming the video for "Trentham," the first single off A Trip to the Coast, in early 2014. In early 2015, Pritchard and Bradshaw returned to the studio to start the follow-up. Gradually, in bits and pieces, the album emerged. 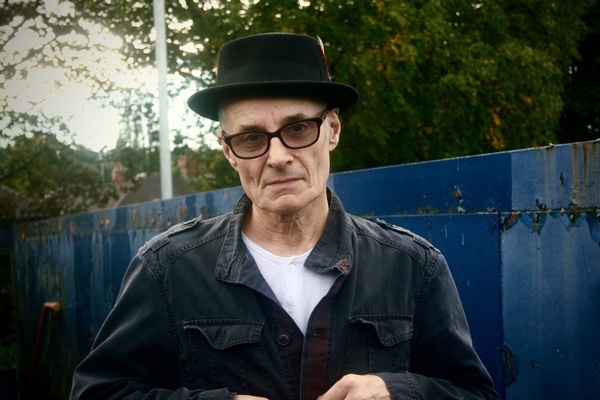 "The last album was very much about a journey of sorts," says Pritchard, "whereas this one is more rooted in one place, both thematically and emotionally." It was recorded mostly in Burslem, England ("The Mother Town"), with Bradshaw, Mike Rhead, Liam Bradley, and Remy LaPlage. Horns were added in France, and it was mixed in Burslem, Berlin, and Singapore with Bradshaw's long-time studio partner, Roo Pigott. The Burslem studio is a short step away from The Leopard inn (English writer Arnold Bennett's old fictional haunt), Vale Park (the home ground of Port Vale F.C. ), and Waterloo Road, the namesake for Jason Crest's song "Waterloo Road," which French singer Joe Dassin covered under the title "Les Champs Élysées." 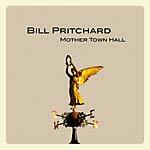 The songs on Mother Town Hall are of the classic Bill Pritchard genre. Sparkling guitars, choruses to sing along to, meltingly beautiful ballads, and personal everyday lyrics about characters both real and imagined -- a figure whose only female company is a flower; the "Vampire of New York," who married a priest from Birmingham; and many others. 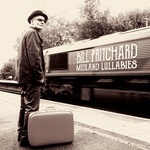 Bill Pritchard is a British singer/songwriter -- you may remember, you may not. He started writing songs for various bands at school but it wasn't until he spent time in Bordeaux as part of a college degree that his style flourished. He did a weekly show with two friends on the radio station La Vie au Grand Hertz (part of the burgeoning "radio libre" movement) and was introduced to a lot of French artists from Antoine to Taxi Girl. His eponymous debut album was released in 1987 on the Third Mind label, with a second following in 1988. He then signed to Belgian label PIAS Records. Working with and alongside the likes of Daniel Darc, Etienne Daho, Francoise Hardy, and Ian Broudie, Pritchard expanded his audience from Europe to the U.S., Canada, and Japan and became both commercially successful and a cult classic. In 1995 he formed the band Beatitude, his first collaboration with Tim Bradshaw as guitarist/keyboard player, releasing the single "Baby in Brylcream." In 1999 he released Happiness and Other Crimes, again with Bradshaw, which has become something of a rarity as the distributor of this album went bankrupt, although a few copies did escape. And then he disappeared a little before resurfacing with a new record deal and the more electronic album By Paris, By Taxi, By Accident, with versions both in French and English, and the album came out in France, Switzerland and Belgium on the Universal label. And then another little disappearance. Then something slightly strange happened. Tim Bradshaw moved to within a couple of miles of Bill's house in Staffordshire and after a gap of about eight years, there was suddenly the opportunity to work together again, something they'd talked about before. "We did the album together basically because we're mates and we thought we'd have fun doing it," said Bill, "with no label pressure we just did what we wanted to," he adds. "It was a time of change in my life and the album and the songs on it reflect that. And when Tim turned up out of the blue, it was perfect coincidental timing." A Trip to the Coast is the end of that period and the beginning of the next. Chapter closed. Chapter opened. The songs on the album are classic Bill Pritchard. Guitar pop, hooky chorus, melodic ballads and personal everyday lyrics about love, loss, and Stoke-On-Trent.